Hair loss can be caused by a range of factors, from hormonal imbalances, environmental and stress factors, and a depletion of stem cells. 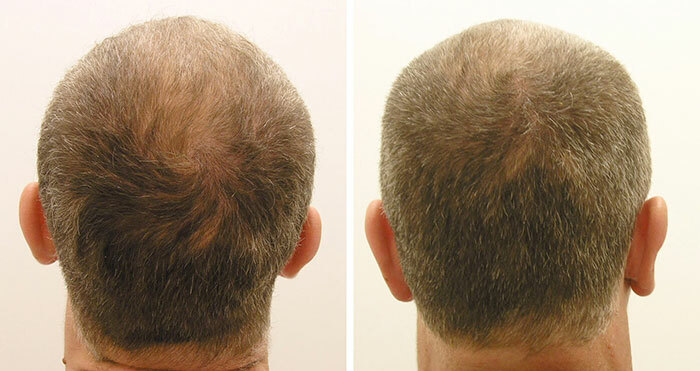 It affects approximately 70% of men by the age of 70 years, with 25% of men balding by the age of 30 years. It is usually a gradual process, with a gradual loss of thickness and strength of individual hair follicles. To be successful in the management of your hair, it requires a balanced and skilled approach using a variety of different angles. By providing the right cellular and biochemical environment to these hair follicles, studies have shown that the rate of hair loss can be arrested, and in some cases reversed. At Beautiphi, we like to work with other specialists to give you the best chance at arresting this difficult condition and fighting it on all known levels. Cutting-edge use of the body’s own stem cells, through the administration of Platelet-Rich Plasma (PRP), has been shown to improve hair growth and quality in the long-run. Hair loss also affects approximately 50% of women by the age of 70 years. This can have a huge psychological impact on these individuals. This can also be managed with a variety of medical, hormonal, and stem-cell therapies. Stacey works with New Zealand’s top hair specialists to detail an individualized programme to manage and treat your hair loss. At Beautiphi we have purchased the speciality U225 gun with NASA technology to ensure the most painless possible treatment with PRP for your scalp, which otherwise can be an uncomfortable experience.